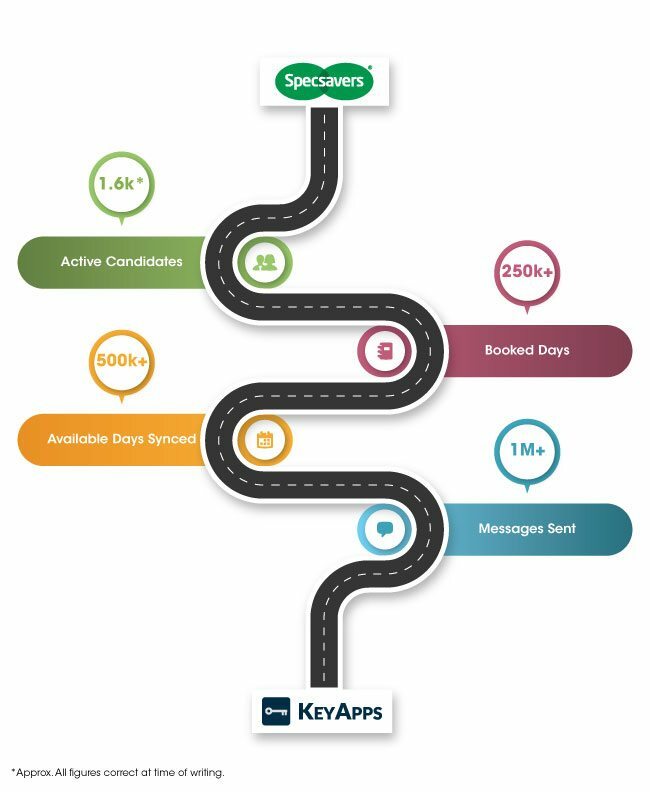 The Specsavers Recruitment Services Locum Diary Apps have approx. 1600 Active users per month. Since March 2017 the Locum Diary Candidate App has performed as an engaging product to help communication and data flow between consultants, locums and the recruitment systems in use. “We’re seeing some impressive user statistics from the Specsavers Locum Diary App, and have been securing important feedback directly from the locums themselves. Our design and technical team members absorb such feedback and KeyApps will continue to work closely with our clients in order to further enhance their products.